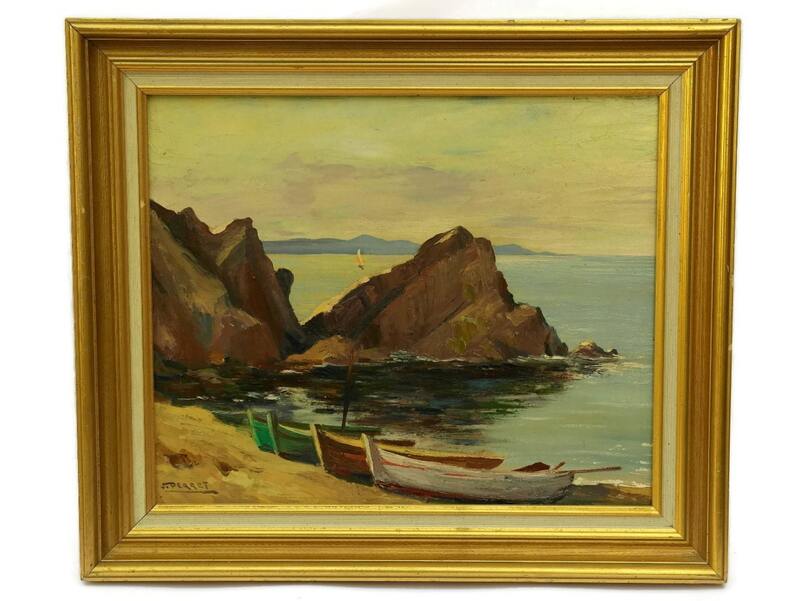 Vintage French Riviera Sea and Boat Painting. Original Art Seascape Painting by S Perret. Beach Decor. A vintage French oil painting dating to the mid century. 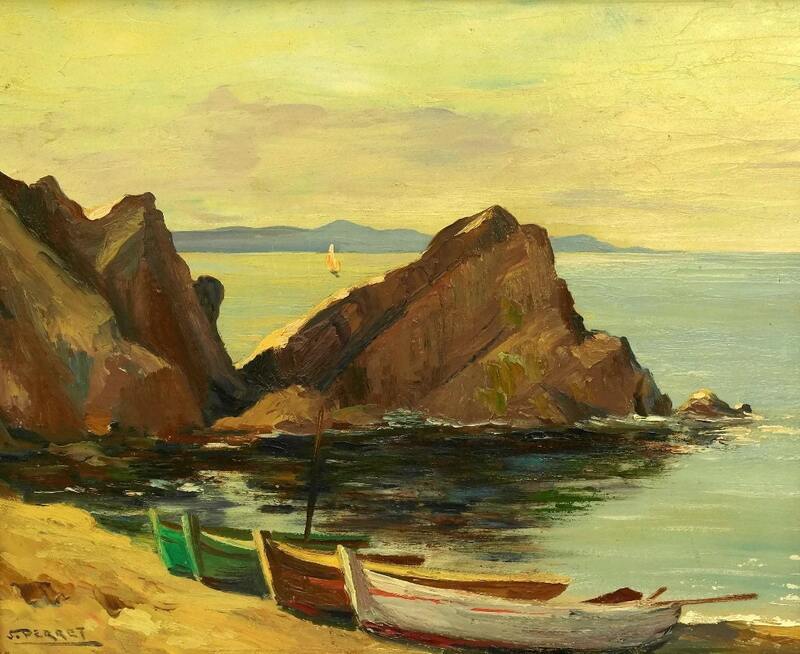 It was painted by the artist S Perret and features a beautiful scene of fishing boats on the beach in a French riviera setting. The work has been painted in oils on board and has been framed in an elegant gold-tone frame. It has been signed by the artist. 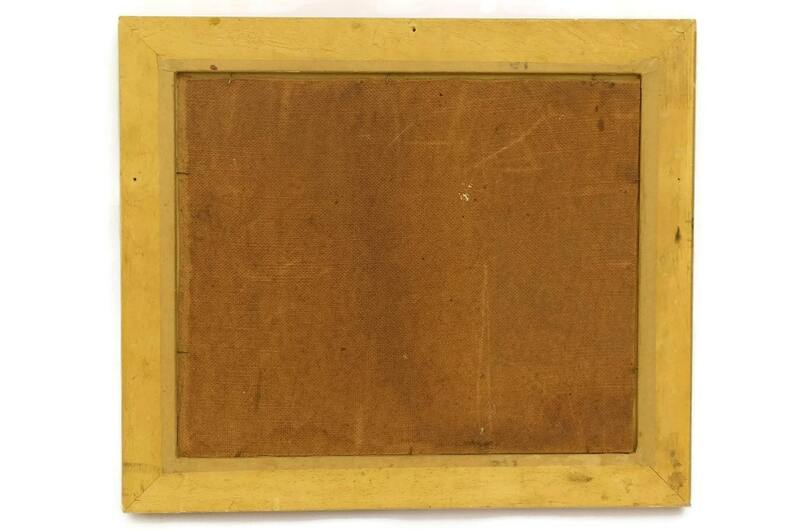 Including Frame 19 1/2" wide x 17" high. (50cm x 43cm). Image size 15" wide x 12" high. (38cm x 31cm). 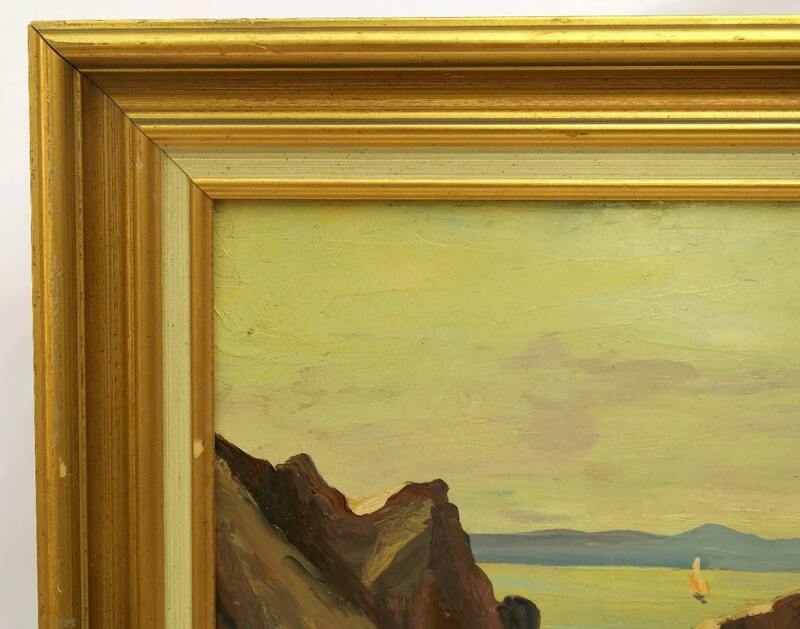 The seascape painting is in very good condition with light wear to the frame. 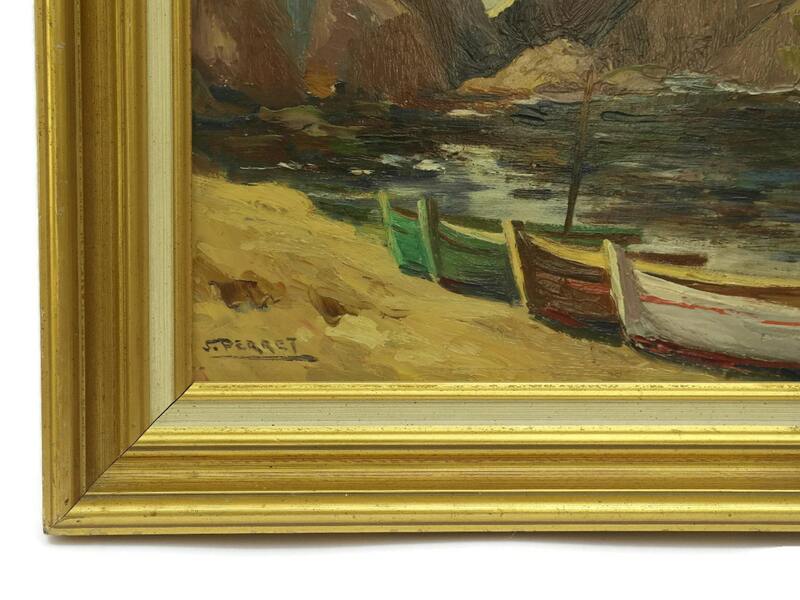 Item ref: Vintage French Riviera Sea and Boat Painting. Original Art Seascape Painting by S Perret. Beach Decor.